Portrait of the Ladies Waldegrave Joshua Reynolds (1723-1792), 1780-81, oil on canvas, 143 x 168.3 cm. Painting purchased with the aid of the The Cowan Smith Bequest Art Fund 1952 © National Galleries of Scotland. Edinburgh. 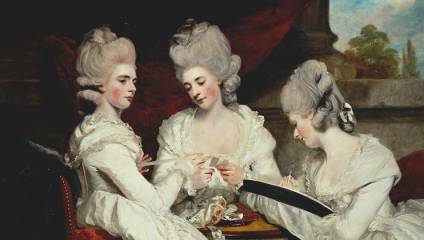 From the 20 October 2018 until the 24 February 2019, Masterpieces from Horace Walpole’s Collection return for a once-in-a-lifetime exhibition, Lost Treasures of Strawberry Hill. This exhibition brings back to Strawberry Hill House some of the most important masterpieces in Horace Walpole’s famous and unique collection - one of the greatest in the 18th century. Dispersed in 1842 and scattered to the winds, over the past 3 years Strawberry Hill's Curators have been hunting down works using Walpole's detailed descriptions and the sales catalogue of 1842. For the first time in over 170 years, Strawberry Hill can be seen as Walpole conceived it, with the original collection in the interiors he designed for it. A staggering 50 lenders will loan works to the show, including 15 country houses, with many of these objects being shown for the first time to the public. The collection included paintings, fine furniture, sculpture and curiosities: great portraits by Sir Joshua Reynolds, Sir Peter Lely, Van Dyck, and Clouet; miniature portraits by Isaac and Peter Oliver, Hilliard and Zincke, a monumental ancient Roman Eagle, fabulous Sèvres pieces as well as some oddities such as a limewood cravat, carved by Grinling Gibbons. Most of the works will be lent from both public and private collections. Walpole left detailed descriptions of his displays, which enables us to show the collection as it was seen in the 18th century in its original atmospheric setting at Strawberry Hill. 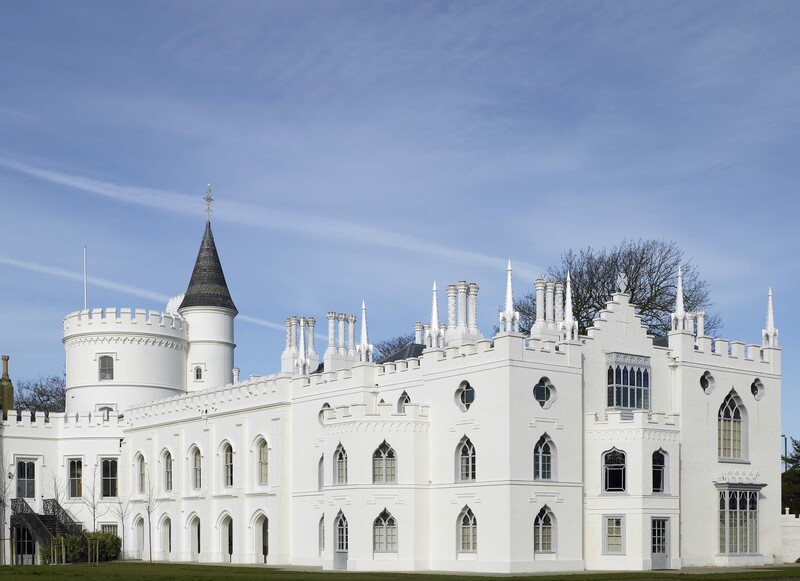 This is a once-in-a-lifetime opportunity to see the enchanting Strawberry Hill as it was during the time of Horace Walpole. Open 7 days a week, from the 20 October 2018 until 24 February 2019 offering tours, group tours and private hire.